Today’s the big day stamping friends!! You can start ordering and receiving your free Sale-A-Bration products today! Yippee!! During Sale-A-Bration, which runs from January 28th – March 31st, you can earn free products with every $50 you order! Have you seen the Sale-A-Bration brochure? If not, click to see it here. You will love all of the awesome product choices! You can shop from the right from your home 24/7 anytime in my online store. Sale-A-Bration is also a great time to consider joining the Stampin’ Up! family! New recruits that join during Sale-A-Bration get to choose $150 worth of products for only $99!! That’s a great deal! Check out my Join My Team page for answers to your frequently asked questions. My favorite Sale-A-Bration item right now is the Banner Blast stamp set and coordinating punch! I just LOVE it! See it on page 14 of the Sale-A-Bration Catalog. 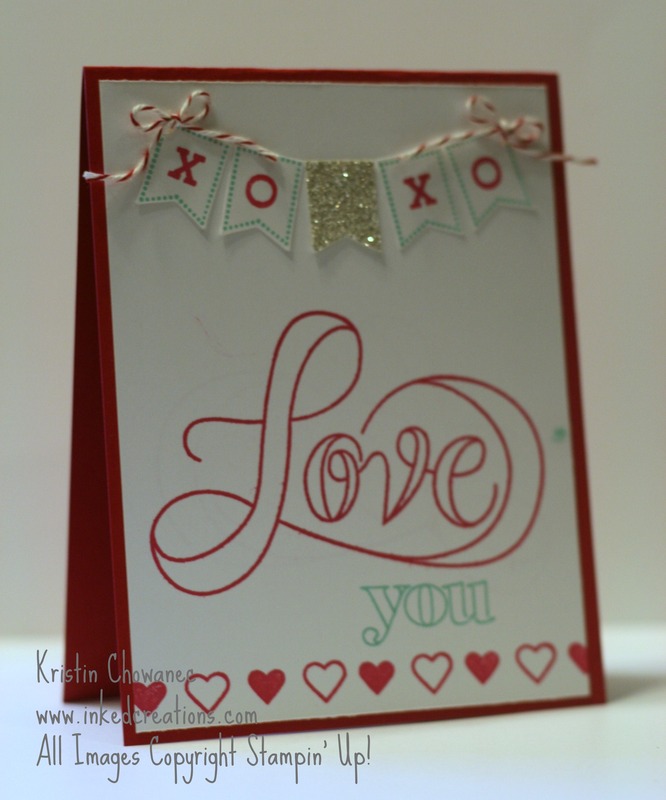 In fact, the banner on this valentine card was created using the Banner Blast stamp set and punch. Isn’t it just fabulous! No more fussy cutting those little banners that we have to have on our projects! Check out my links below for supplies used and links to purchase.